Whenever I find a patch of wild sunflowers, I am delighted by the abundance of life it attracts and supports. All kinds of insects are drawn to the pollen rich plants and the seeds are a fantastic food source for birds in late summer, fall, and sometimes even into early winter. 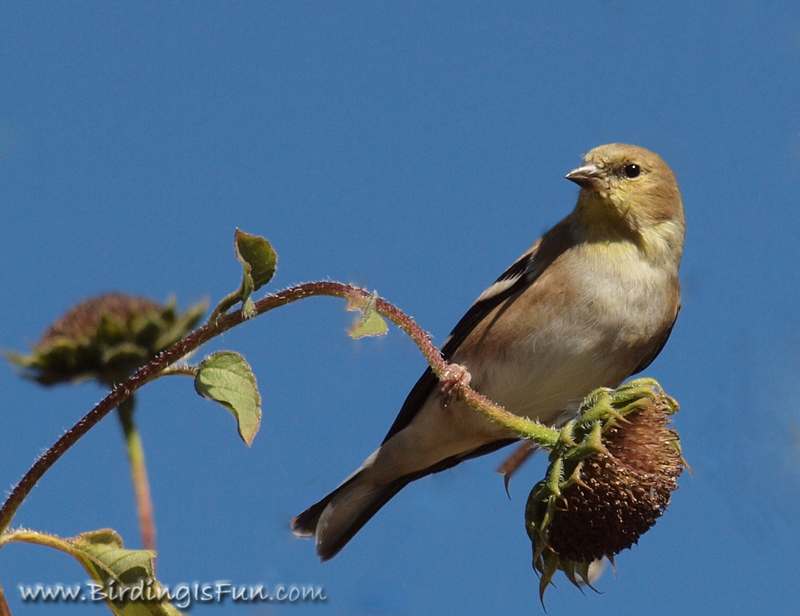 In my experience, the birds most frequently seen feeding on sunflowers are American Goldfinch, Lesser Goldfinch, Pine Siskin, and a few different types of Sparrows. I recently observed a hummingbird feeding at a sunflower patch, but I am assuming it was most likely eating the insects. Here are some photos to share just a little sunflower love! Lovely visitors drawn to some of the last blooms of summer! Such bright, beautiful flowers! Great post. I'm oooohing and aaaaahing! Love them!